In a bowl, beat the yogurt to a smooth consistency. 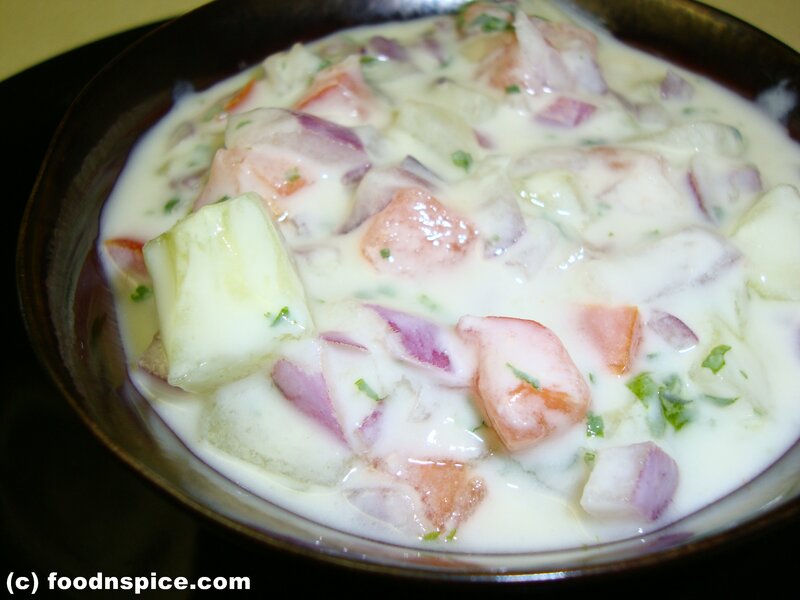 Add chopped onions, tomatoes, cucumber, coriander leaves and mint leaves to the yogurt and mix well. Add salt and sugar and mix well. Adjust the seasoning. Serve with biryani or pulao or any type of rice preparation.